Youth NGO, United Societies of Balkans is looking for 3 volunteers to participate in our EVS project in Thessaloniki for 10 months. Project will start in September 2012. Activities for future volunteers: Making Videos and taking advantage of New and Creative Media to promote the organization and its activities, and raise awareness about human rights, youth mobility and volunteerism. Help in the function of our web radio station. Assist in the organization of seminars and trainig courses, carried by our organization. and others. 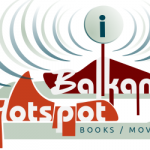 Activities for volunteers are mainly focused in fields like Youth Information Spot, Balkan Hot Spot, Afternoon workshops and International Programmes – information service for interested local people. Selection Criteria: Volunteers are selected based on meritocratic criteria and without any discrimination. After the deadline of the open call for volunteers, we carefully study every CV and motivation letter. Then we organize Skype interviews with the shortlisted candidates and finally we decide who will join the EVS program in our organization. If you are interested, please send your CV and Motivation Letter at unitesocietiesofbalkan@yahoo.gr and to evs@studentplus.ro with this Subject EVS – United Societies of Balkans before deadline 9 January 2012. More details about project are avaible at at Database of Accredited Organisation for Hosting EVS http://ec.europa.eu/youth/evs/aod/hei_list_from_query.cfm with Reference Number 2011-GR-30.